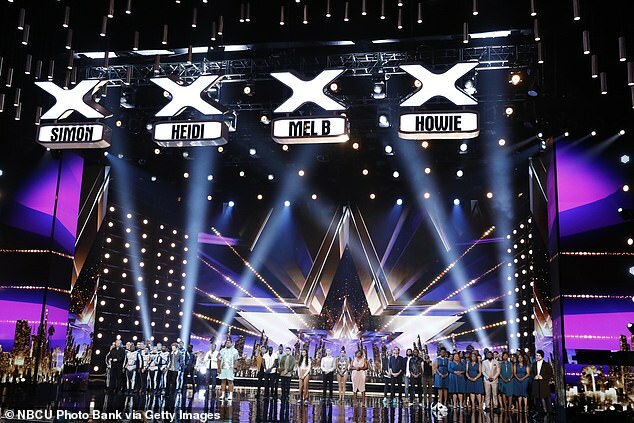 Heidi Klum and Mel B will be departing the America’s Got Talent as they will be replaced by Gabrielle Union and Julianne Hough. There will be a shake-up in the all-star judging panel when the NBC reality competition series comes back for season 14 according to a Monday report from Variety. Gabrielle, 46, and Julianne, 30, will be joining returning judges Simon Cowell and Howie Mandel. That is not the only big change coming as Terry Crews will take over hosting duties from 45-year-old Tyra Banks. 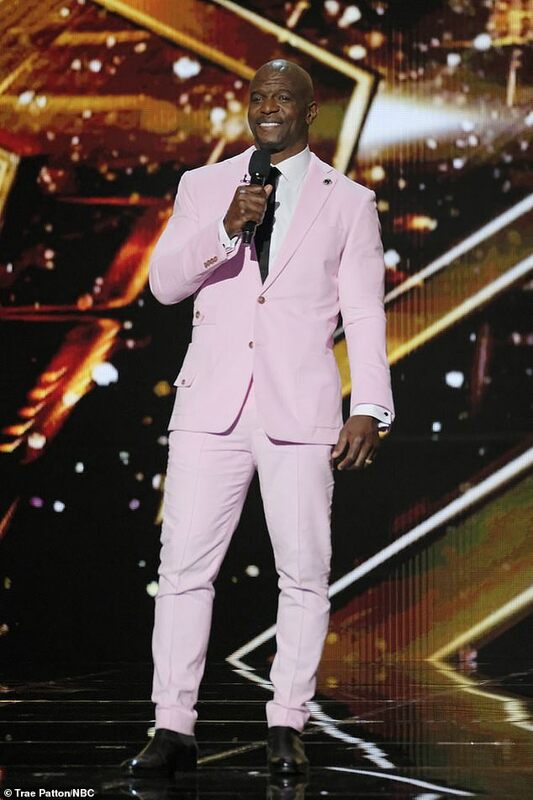 The 50-year-old actor is currently the host of spin-off America’s Got Talent: The Champions. Heidi, 45, and Mel, 43, joined the panel back in 2013 for season eight and have been on every season since including The Champions edition. 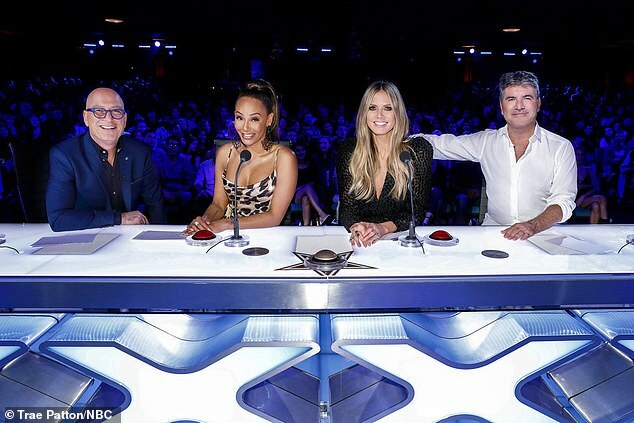 There were rumblings that a major overhaul was coming last month as it was reported by Page Six that all judges could be replaced other than 59-year-old producer Cowell. 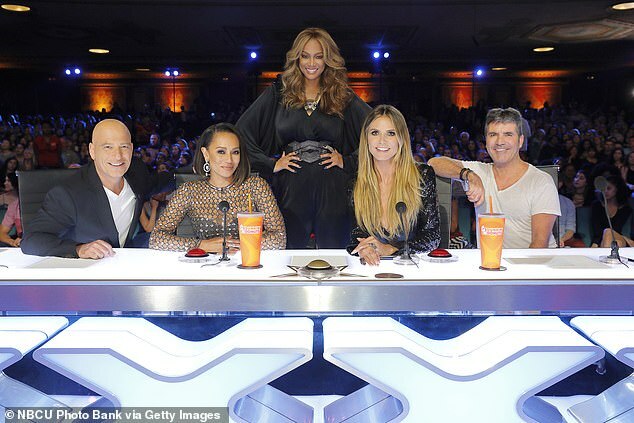 ‘The word on the street is they are replacing all AGT judges except Simon. It started with [talk about replacing] Mel B and now it’s everyone. Tyra [Banks] is gone,’ said a source at the time. It was reported back in December that Tyra opted not to return as host. Pretty in pink: It was reported back in December that Tyra – pictured in November – opted not to return as host. Hough has experience in judging on reality television as she appeared on the panel for seasons 19-24 from September 2014 to May 2017. Gabrielle has not appeared on reality television but she has starred in BET series Being Mary Jane over four seasons since 2013. She is also set to star in Bad Boys television spin-off L.A.’s Finest alongside Jessica Alba which will air on the Spectrum network later this year.